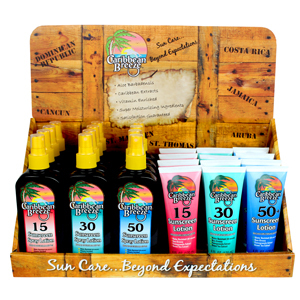 Caribbean Breeze 12 Piece SunStop features three (3) each of 4 oz. SPF15, 4 oz. SPF30, 4 oz. 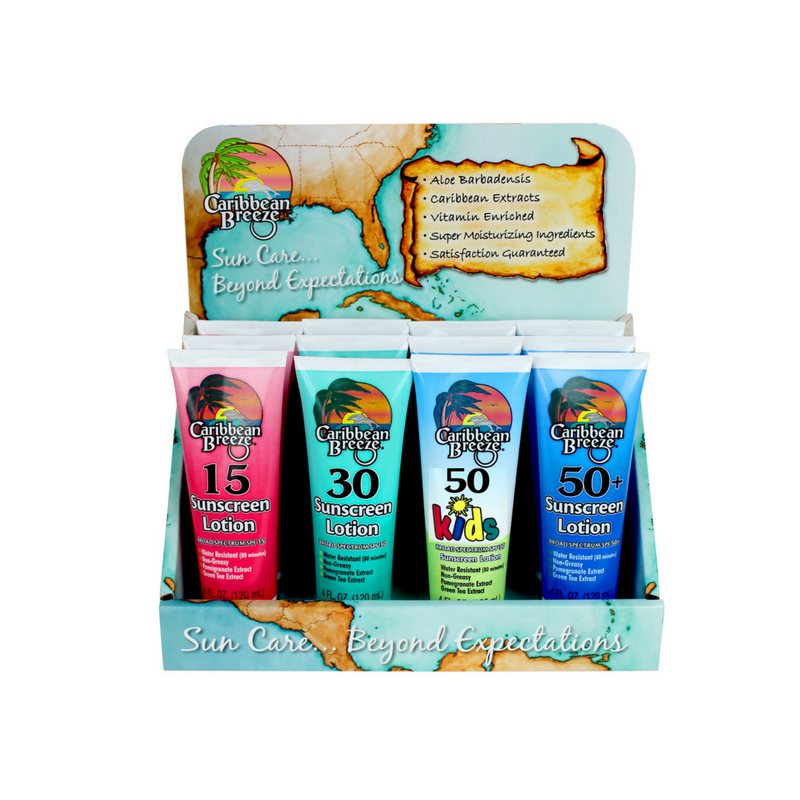 SPF50 for Kids, and 4 oz. SPF50.